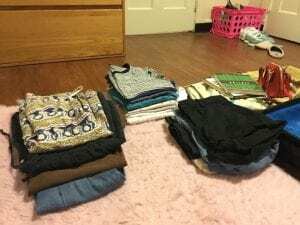 They say to pack what you want to and then take out half–you won’t have to do that if you really think about what you’re actually going to be using. I usually think about bringing the types of things that I know I’ll use on a day-to-day basis, not anything I might only need once. 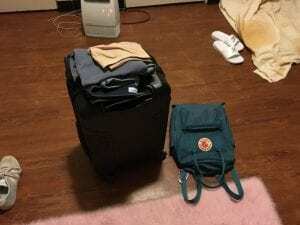 I would also advise only packing what you can carry–there will be times you might have to haul your baggage up stair cases, like my first study abroad apartment which was on the third floor, and I was glad I only brought a carry-on suitcase and a backpack. Don’t let stuff weigh you down and keep you from being mobile. If there’s any specialty items you need to bring like hiking shoes for a trip you are sure you will go on, pack those first. Another golden rule of packing for travel abroad is don’t pack something you can’t replace. Your study abroad dorm is no place for family heirlooms or irreplaceable jewelry. Seal all liquids well! If you bring a big container of some soap or something it will most likely pop on the plane. This happened to my roommate the first time I studied abroad and it ruined a lot of her clothes. Shampoo and soap can be purchased at your destination. Don’t need to waste suitcase space on anything you can buy there. You may want to bring a small travel size bottle of any essential items to get you started, but don’t bring a huge tube of shampoo–that’s a real waste of space. Also don’t forget, if you bring any liquids in your carry on they must follow TSA regulations–everything must be under 3.4 ounces, and that it all has to be in a zip-lock or some type of sealed bag. You can bring a water bottle to reuse also, just make sure that it’s empty before you go through security. 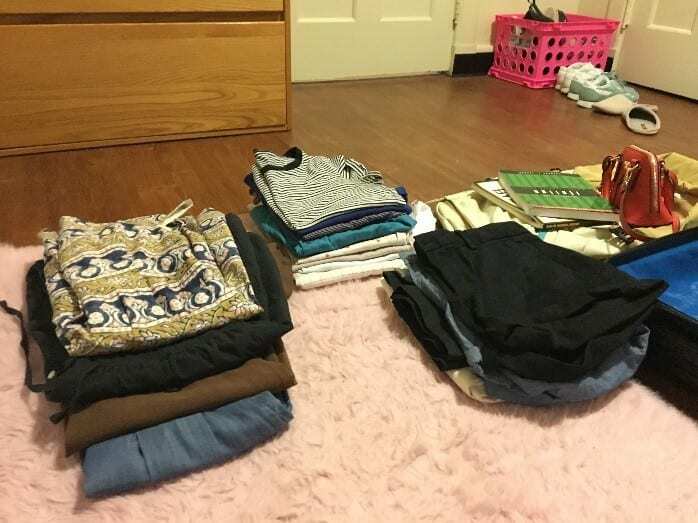 You’ll probably have access to a washing machine, if you keep in mind that you’ll be doing laundry maybe once a week, you can see there’s no need to bring a lot of clothes. It’s important to bring at least one formal outfit, as well as consider the culture that you’ll be going into. A lot of countries dress more conservatively and more formally than the United States. This is something to do a little research on before departing for your host country–you don’t want to get there and then stick out like a sore thumb! What we consider ‘business casual’ is kind of the normal dress when leaving your house in most places, and, in my opinion, it’s better to be a little over-dressed than under-dressed. Short skirts or short-shorts are also things you’re just better off avoiding when traveling abroad–besides knee length and mid-calf skirts and pants are really in style nowadays anyways! Especially when visiting cultural heritage or religious sites, it’s safe to make sure your knees and shoulders are completely covered. I remember visiting old churches in Rome with my study abroad group, and a few girls were kicked out because their clothes were too revealing. Now–keep in mind, I’m not trying to say you should change who you are or not express yourself, or something like that, I’m simply suggesting that it’s important to respect the culture of your host country, you’re a visitor and are there to learn, and I would say for safety purposes alone, just blending in isn’t a bad thing. Individualism is not a universal cultural value–I think these types of things are important to reflect on before going abroad and before finalizing your packing. 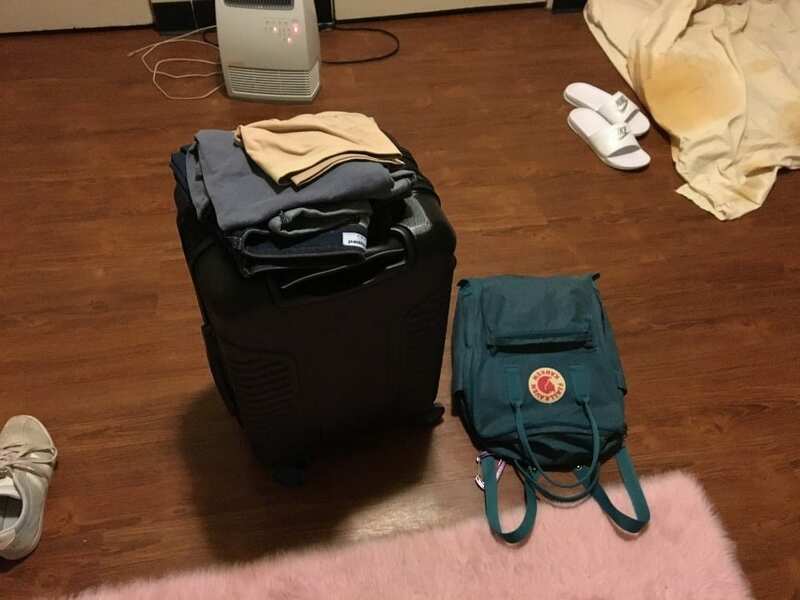 My carry-on suitcase and backpack for a three-month long study abroad journey!